‘Hey white boy, what you doin’ uptown?” Lou Reed 1966. When Lou was writing ‘I’m Waiting’ For The Man’, he would have had a precise picture in his head of the dope dealing character in the song. That’s because Lou would certainly have known him personally, aspiring young hustler that he was. 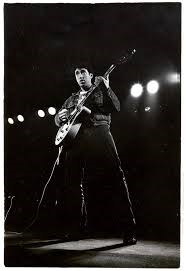 For some reason however, when I hear the song today I think of Jonathan Richman as the naive fresh-faced ‘white boy’, with Lou himself conversely, the cool hipster of the Lower East Side, overseeing young Jonathan’s induction to the dark stuff. Lou fitted that NY boho smackhead chic pretty well, but what about Jonathan? Unlike Lou, he was never really suited to hanging out with druggies and sexual deviants. There was always something incongruous about this Velvets’ disciple, sleeping on Steve Sesnick’s couch and affecting that proto-punk attitude. It just didn’t add up. Something happened to Jonathan Richman. Something changed in him. This vicious world of adulthood, where everyone smoked, took drugs and cheated one another over record deals or in the bedroom. This new world was not for him. What about the old world? I imagine this metamorphosis to have occurred in 1973. [A dream: Jonathan is in attendance at a family gathering in late summer in a New Hampshire coastal village. He is experiencing a creative nadir, and finds himself out of the city at a nephew’s birthday party. It’s early evening. There are kids eating ice cream, they’re falling over one another on the porch and there is much laughter around the place. He watches a boy chase a kite along the beach. Some old uncle recalls a few anecdotes. Drinks are spilled and memories shared. ‘Come on Jonathan, play us a tune!’ comes the inevitable invitation. It’s been a while. Jonathan looks over at the old battered acoustic guitar leaning against the family Steinway. He picks up the instrument and knocks out a couple of old Chuck Berry numbers. Everyone cheers. Boy, does this feel good. Jonathan loves an audience. He wanders off into the kitchen. Maybe he hears an old doo-wop track by the 5 Royales or the Flamingoes on the little transistor radio sitting there. He goes upstairs and sitting by the bedroom window, writes the first version of ‘It’s You’, what will become the opening track on It’s Time For Jonathan Richman & The Modern Lovers. It will be 12 years before he records it for posterity but something has clicked. Jonathan recalls the first time he heard music like this on the radio and fondly remembers his carefree childhood. He’s battered and bruised from his walk on the wild side and disillusioned with the excesses of the rock’n’roll lifestyle. Change of plan. Of course the first fruits of Jonathan’s new approach came long before the release of It’s Time For…. By 1986 he’d recorded a number of Modern Lovers albums, all filled with his own brand of gentle romantic rock’n’roll and all presumably filed nervously in the ‘new-wave’ sections of confused record stores. He had built his reputation on the classic first punk blast of The Modern Lovers: ‘Roadrunner’, ‘Pablo Picasso’, ‘She Cracked’, all moody black-clad Velvets sneer, and then proceeded to confound everyone’s expectations of him with his bizarre Top 10 novelty hit’Egyptian Reggae’. Fast forward a decade or so and he has cultivated a small but loyal audience for his charming old world vision. This album was my first encounter with Jonathan, and to be honest, looking at the sleeve and seeing this thirty five year old man, looking (most impressively) no more than 21, but clad in an unbuttoned pink linen shirt, was certainly unpromising and frankly, a bit unsettling. I too was a Velvets disciple and well, the image was just…well, so wrong! But what to make of the music inside the sleeve? I could not believe the album had just been released. It sounded at least twenty five years older than that. And yet, there was a freshness, an innocence and a joy in this music which encapsulated the very essence of rock’n’roll. The album veers from the delightfully moronic ‘Let’s Take A Trip’ (‘I got my jeans and things and I’m ready to go!’) to Jonathan’s ridiculous hymn to his favourite milkshake of all (‘Double Chocolate Malted’ – OK Jonathan, no nuts! ), and a playful retelling of the classic Persian love story ‘Shirin and Fahrad’. But amidst the somewhat contrived innocence and playfulness are a small bunch of timeless gems. The opener the aforementioned ‘It’s You’ is a singalong classic – how could one fail to smile listening to it? ‘Neon Sign’ and ‘When I Dance’ sway along beautifully – the latter exuding an ironic sexual confidence, the former conveying a neurotic and nostalgic displacement in the adult world. But it is the triumvirate of ‘This Love of Mine’, ‘Just About Seventeen’ and the closer ‘Ancient Long Ago’, which really set this apart from other sterling Jonathan albums – such as Jonathan Sings! ‘This Love of Mine’ has all the smooth assurance of Sam Cooke, with the honeyed harmonising the perfect counterpoint to Jonathan’s stuttering adolescent awkwardness. He’s in character for sure, but he’s comfortable here. Jonathan and the boys enjoy themselves so much on ‘Just About Seventeen’ that, lost in the moment, they cannot refrain from a chorus of ‘dangdangdoodang wangdangdoodang’ to further accentuate the good vibe. “I’m about seventeen…I guess, well that’s what the calendar says…what do numbers mean? I’m about seventeen”. Pure gold. It has been well documented that Bob Dylan called Smokey Robinson “America’s greatest living poet” Hearing the angelic ‘Ancient Long Ago’ one might be tempted to disagree. It reveals Jonathan to be the real deal. Listening to it again, I am transported through time, people and places appear and disappear from my mind’s eye, in particular, some very special evenings being charmed by Jonathan’s songs aboard the Renfrew Ferry in the early 1990s. It is a shimmering invocation with an extraordinary musical arrangement which should evoke a heartfelt response from even the most sceptical listener. ‘I am not bound by space or time right now’ he says. Neither am I Jonathan. Not now.